Porsche agreed to recall Cayenne diesels. BERLIN -- Germany ordered Porsche brand to pull thousands of Cayenne SUVs off the road as the brand became the latest Volkswagen Group marque to be embroiled in the diesel cheating scandal. The German government has evidence that 22,000 Cayennes sold in Europe with 3.0-liter diesel engines use a defeat device to cheat on emissions testing, Transport Minister Alexander Dobrindt told reporters in Berlin. Dobrindt said he was withdrawing certification for the vehicles, and Porsche would bear 100 percent of the cost of the recall. There is a “high probability” that the VW Touareg SUV also has similar software installed, Dobrindt said. "This has not yet been checked by us and will now be carried out immediately," he said. "Volkswagen will cooperate with us to ensure that these vehicles, if there is a similar software there, are then subjected to the appropriate procedures." Porsche said it had discovered the software during an internal investigation, and that it had agreed to recall the vehicles to fix the problem. "This vehicle is a vehicle still in production," Dobrindt said at a hastily called press conference on Thursday. He said the government will impose a registration ban on vehicles that are still being sold until updated software is available, which must be approved by the KBA registration authorities. About 7,000 of the 22,000 Cayennes are registered in Germany. The recall affects cars with 3.0-liter TDI V-6 diesel engines, which were developed by sister brand Audi. The engines were at the center of Audi’s own emission woes in the U.S.
Porsche’s works council head, Uwe Hueck, in a recent media interview lashed out at Audi’s management over supplying a rigged engine and called for the marque’s top executives to be suspended. 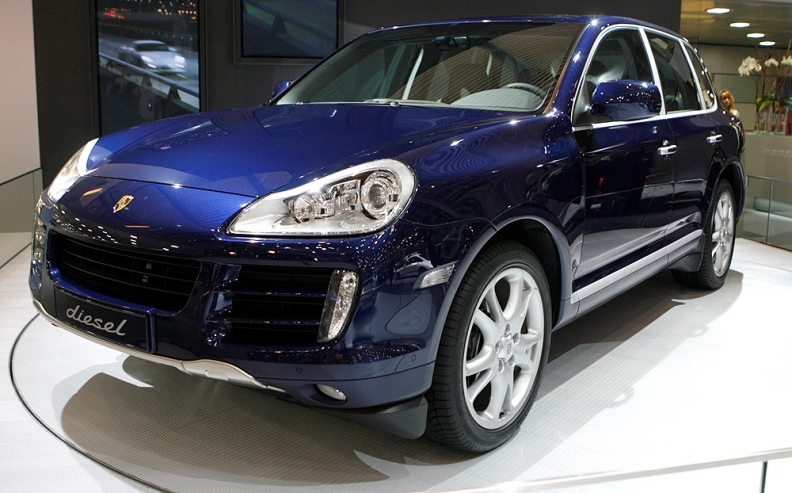 The Cayenne is one of Porsche's most popular models. While the company is best-known for its 911 sports car, bigger four-door vehicles such as the Cayenne or the smaller Macan SUV, as well as the Panamera sedan, have become critical parts of its lineup. Germany’s diesel scandal has ballooned recently. Daimler's Mercedes-Benz last week announced plans to voluntarily recall 3 million diesel vehicles in Europe to upgrade their technology, while VW Group's Audi brand said it will service 850,000 cars. On Thursday, VW said it would expand a recall to about 4 million cars to upgrade the engine software. VW Group admitted in late 2015 to cheating on emissions in millions of vehicles, and the company is also caught up in an unfolding scandal with Daimler and BMW over allegations that they colluded on technology for decades.